Muffin stuffs and cream. Hooray! 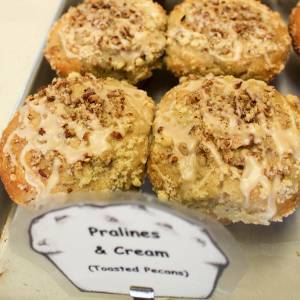 What else can you say about a muffin that leaves its eaters speechless, comatose in cream-conundrum, pale in the face of paradisaical-praline flavor? Hardly anything at all. We’ll let the muffin do the talking with this one.